fires | Park View, D.C. 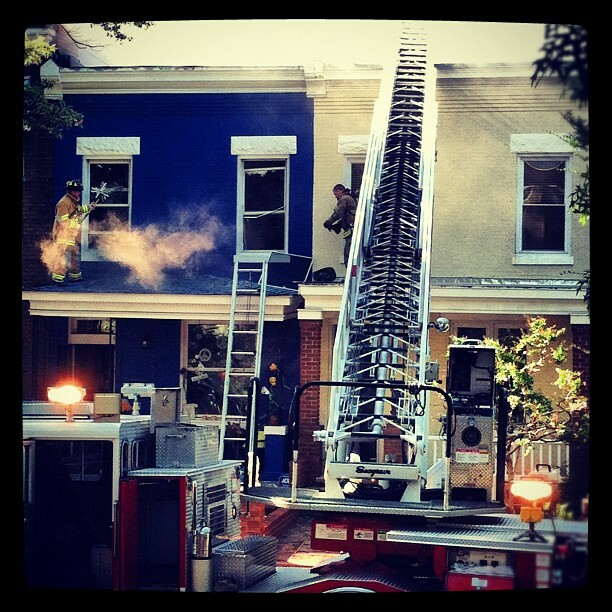 I awoke to learn that there was a rowhouse fire at 633 Park Road, NW, last night (h/t to @benbisbee). 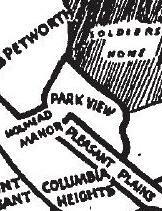 According to DC Fire Fighters Local 36 twitter feed, 633 Park Road was one of two house fires last night. Both were extinguished quickly with no injuries. 633 Park Road is part of the property that, along with the parking lot next to it, belongs to the New Commandment Church, 625 Park Road. The property was recently on the market but is no longer listed. I currently don’t know if the property changed hands or if it was merely taken off the market. Thanks to readers for sending in the following details. 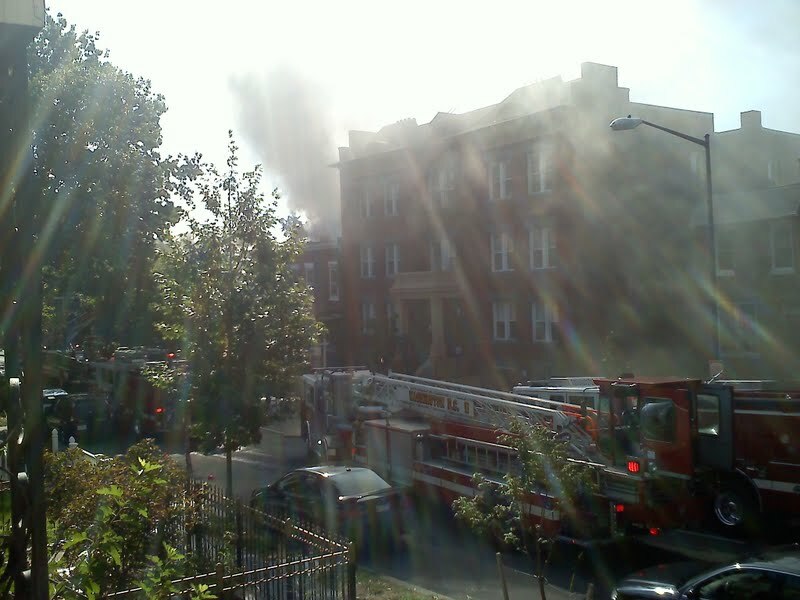 Earlier today, around 9:45 a.m., there was a fairly large fire at 600 Irving Street, NW. This is located on the south side of Irving between Warder and Georgia Avenue. 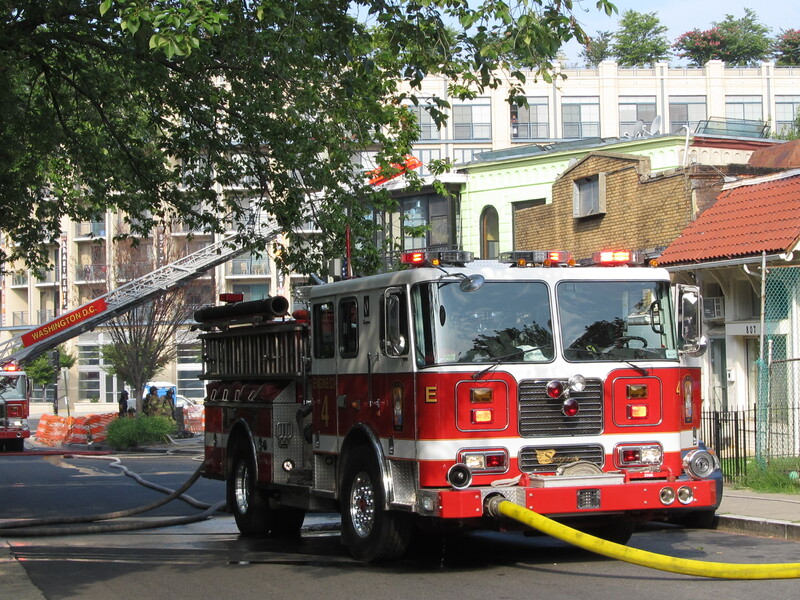 DCFD’s response to the fire was significant and close Irving to traffic well after 11:30 a.m.
DCFD described the fire as being a heavy fire on the on the 2nd floor in a 2 story middle rowhouse. Over 50 firefighters responded to the fire, which was brought under control in under 15 minutes and quickly knocked down. There were no reported injuries. Readers familiar with this property may recall that in the past they have been among the houses in the neighborhood that has some decent decorations for Halloween. I’m glad that there were no injuries and hope the damage is not significant enough to prevent a speedy repair. 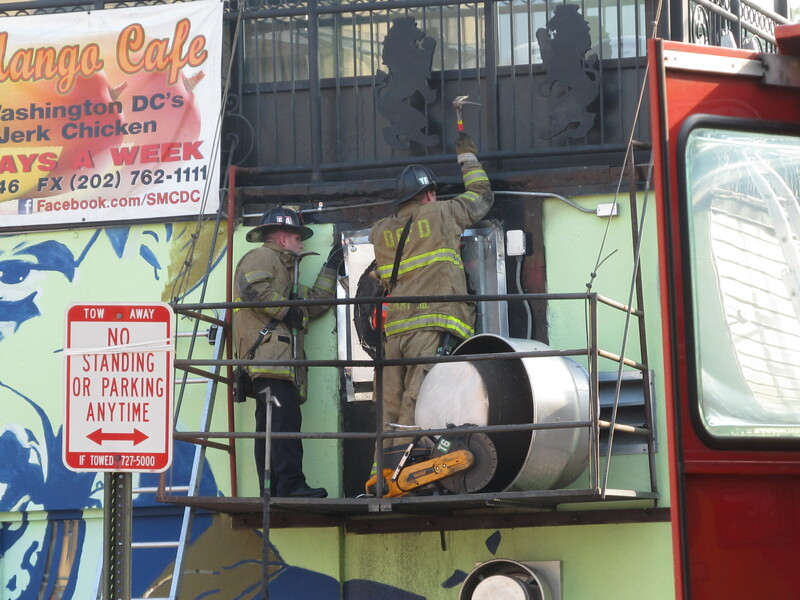 There was a fire at Sweet Mango Cafe sometime between 8 a.m. and 8:30 a.m. this morning (8/4/12). While I don’t have any details about how extensive the fire was or how long it will take to repair it, it appears that it was another kitchen fire. I’ll provide more details as I get them. 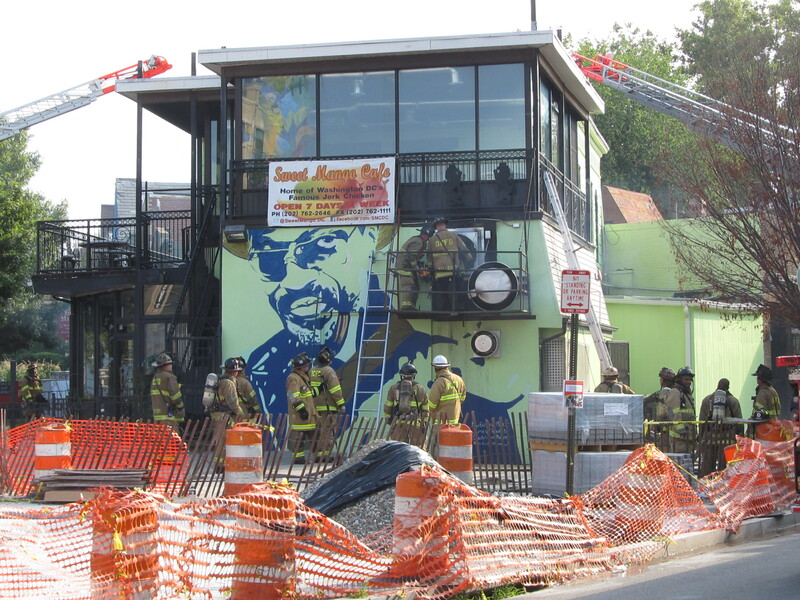 Readers may recall that there was also a fire at Sweet Mango on December 4, 2010. That fire was also in the kitchen area and caused approximately $100,000 in damages. Below are some photographs from this morning. 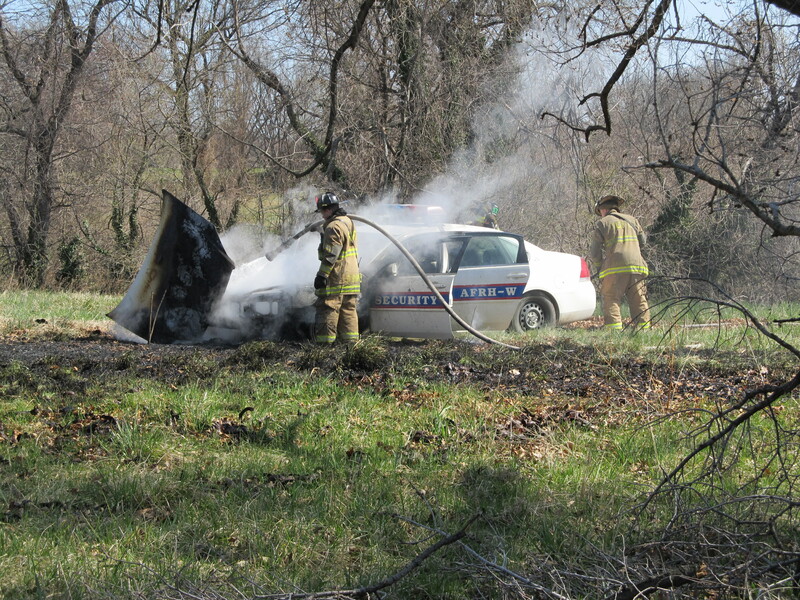 Shortly before noon today, one of the AFRH Security cars caught fire. I do not currently know the cause. 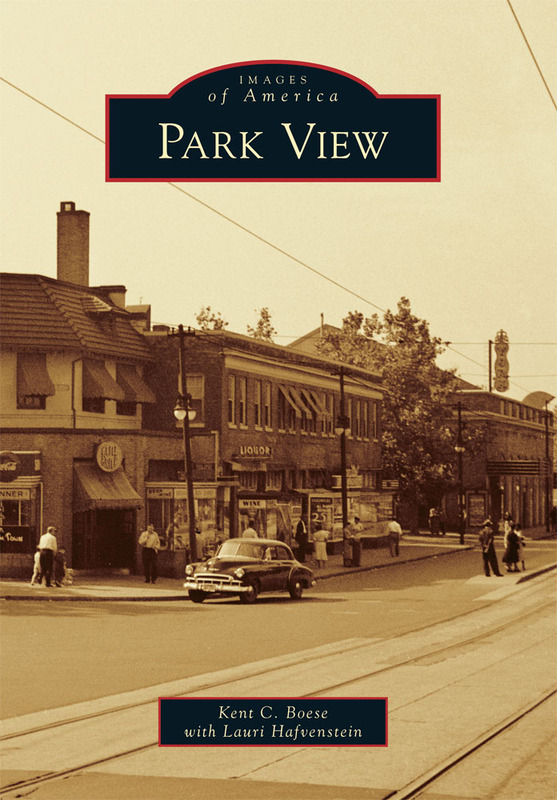 The fire was located on the far southwest corner of the grounds, near the intersection of Park Place and Kenyon Street. 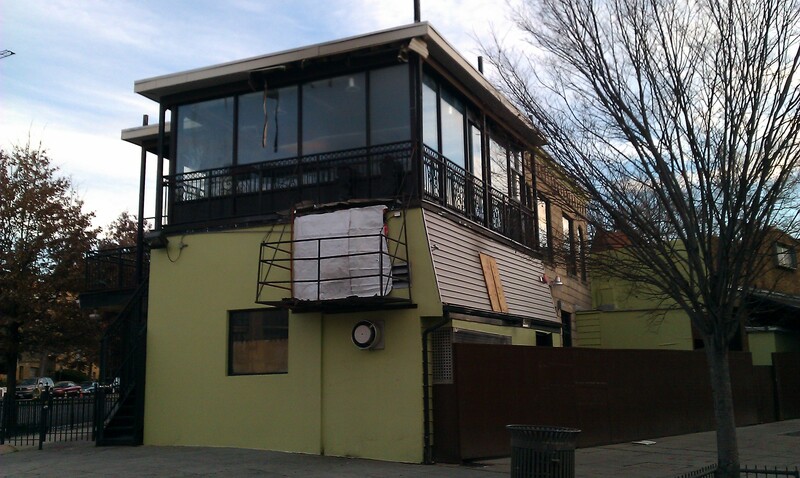 According to USA9, Sweet Mango suffered significant damage after a fire broke out last Saturday night, December 4, 2010. Officials say the blaze started in the kitchen duct of the Sweet Mango Cafe in the 3700 block of New Hampshire Avenue around 8:00 p.m. Firefighters arriving on scene found fire showing from the building. The blaze was quickly brought under control. Fire officials say the restaurant suffered approximately $100,000 in damages. 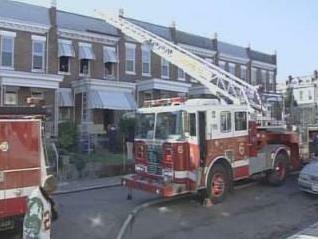 WUSA9 reports that an elderly Park View resident was critically injured this morning (11/19/10) when fire broke out in their home located on the 400 block of Luray Place. The female victim was taken to the hospital with critical burn injuries. 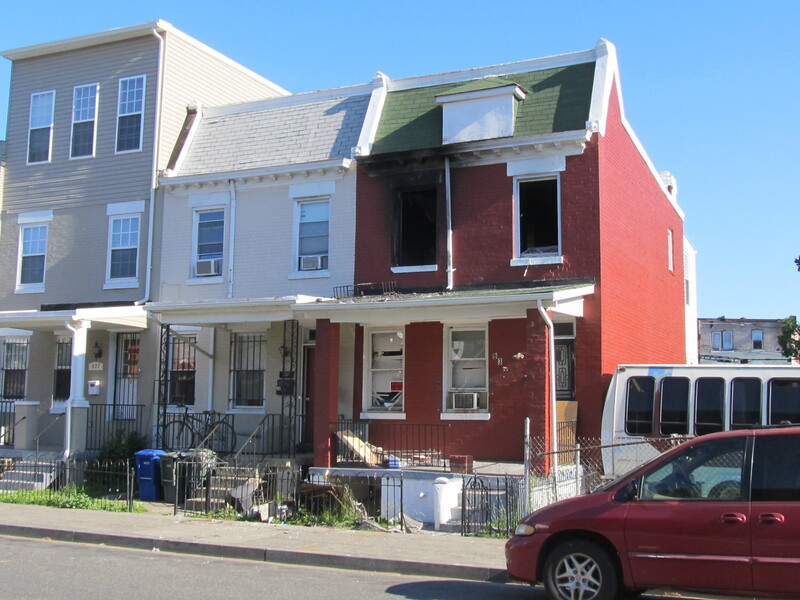 DC Fire and EMS responded to a report of a house fire around 8:50 Friday morning. A few more details and some footage discussing the fire are available at the WUSA9 Web site.